Can you imagine being in a jet on an airport runway or on top of a tall building when a powerful earthquake hits? It happened Tuesday to dozens of people heading out of Mexico City to the Bay Area. The first passengers who made it back to the Bay Area after the deadly 7.1 magnitude temblor in Mexico said they’re just happy to be alive. Gislady Skaggs and her husband were anxious to leave after landing at San Francisco International Airport on Tuesday night, fully aware of all the death and destruction she and other passengers left behind in Mexico City. "I opened the window, and all the planes on the runway were just bouncing," she said about the scene at Mexico City International Airport. Can you imagine being in a jet on an airport runway when a powerful earthquake hits? It happened Tuesday to dozens of people heading out of Mexico City to the Bay Area. Cheryl Hurd reports. Passengers aboard United Airlines Flight 718 got bounced around by the earthquake before the plane left the ground. 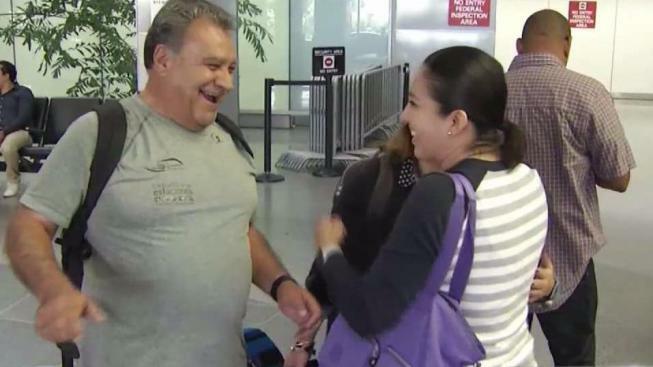 "We were still boarding, and suddenly the plane started shaking," Francisco Gabino said. "And I never experienced an earthquake." One passenger quickly started recording, thinking there was a collision on the runway. "A lot of movement, things started falling, people started screaming, crying," the passenger said. "It was scary." The passengers deboarded the plane and had to wait in the airport for two hours. "In the airport, everything was closed. No food, no nothing," passenger Modesta Arias said. It was a homecoming for those passengers at SFO and an uncertain pilgrimage for others who were trying to get a flight back home to Mexico City Tuesday night. "We don’t really know what’s going on inside the buildings, which is pretty concerning," said Ignacio Hurtado. On Wednesday, more people who survived the earthquake arrived at SFO, worried about their home and the people they left behind. 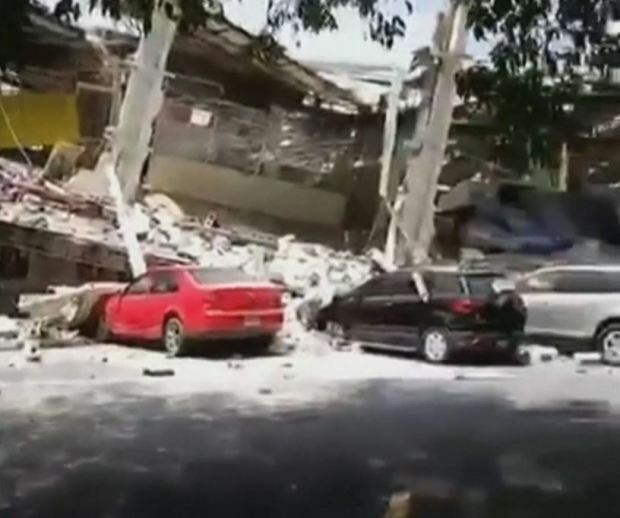 Mexico City resident Carla Keyla was still checking her phone to see the latest pictures. "I was in my job, wondering what was happening," she said. "Everything was collapsed, no communication, the internet fell down." And while everyone at the airport was glad to leave the quake behind, some, like Keyla, were worried about more shaking. "I was on the roof garden of a building, and it was huge, the worst," she said. "Of course, I'm glad to be here, but also remember, we have faults, the San Andreas Fault!" A couple of people at SFO said some of their family members did not take the flight to the Bay Area and instead decided to stay home to help clean up.